Rock Or Pop? 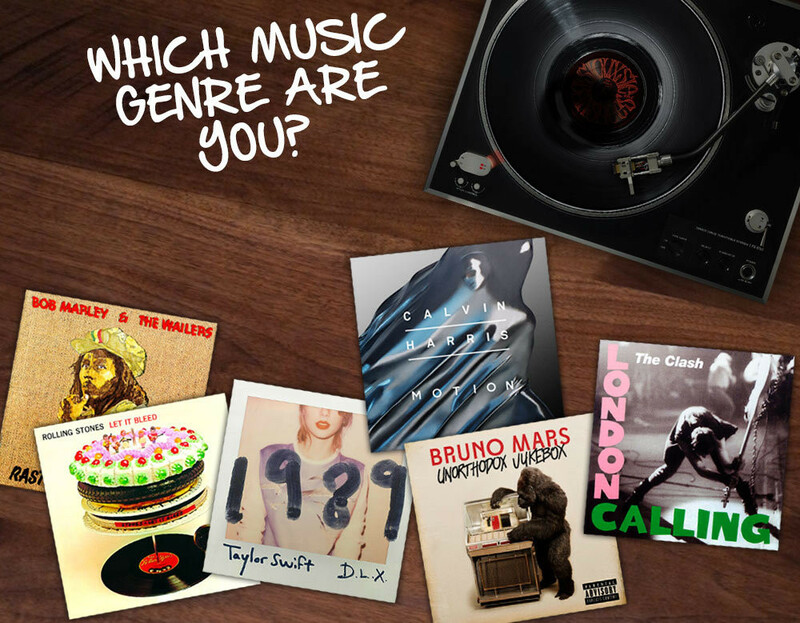 Know What Your Favorite Genre Tells About You! If Rihanna, Selena and Swift make up your playlist mix, then there are chances that you are honest, conventional and hardworking. Being a pop lover, you are outgoing, sociable and you have high self-esteem. You worry too much and get uneasy and you know how use the top charts to regulate your mood often. Researches show that fans of heavy rock music portray aggressive behavior, but they might as well possess a gentle core to themselves. If you are a rock fan, you fall under this. Being creative, you are open to new experiences as well as you are intense and energetic. You might lack self-esteem and often get self-centered but you can trade it off with your hard work and easy going behavior. If you love Snoop Dogg and Dr. Dre, then you are energetic and rhythmic when it comes to this genre. You are an extreme extrovert and have high self-esteem. This might induce an aggressive and violent behavior but you also tend to possess a soft and hidden side of yours that nobody gets to see. You love social aspects of music and music can be your much needed escape. You are open minded, deep thinker, reflective and possess highly creative abilities. Having qualities of an extrovert, you take new experiences and other workload liberally. Deep thinking might take you to those dreadful spaces you don’t want to go, but music is always there to bring you back home. You are hardworking, conventional and high on empathy. Modesty can be something to define you over the blurred lines of your agreeable and compassionate behavior. You are emotionally stable but you can also be conservative. This behavior makes you less open to your choices towards other music and art. You are creative, introvert and have a good sense of self-esteem. You are at ease with yourself and everyone else around, as well as you are smarter than the lot out there. You are liberal, conservative as well as creative. So next time at the first meet with someone, you can get to know a lot by just asking them about their taste in music!